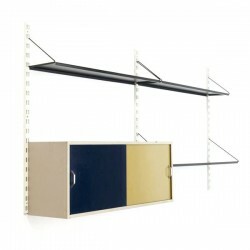 Metal wall system designed by Tjerk Reijenga for Pilastro Holland in the 1960's. 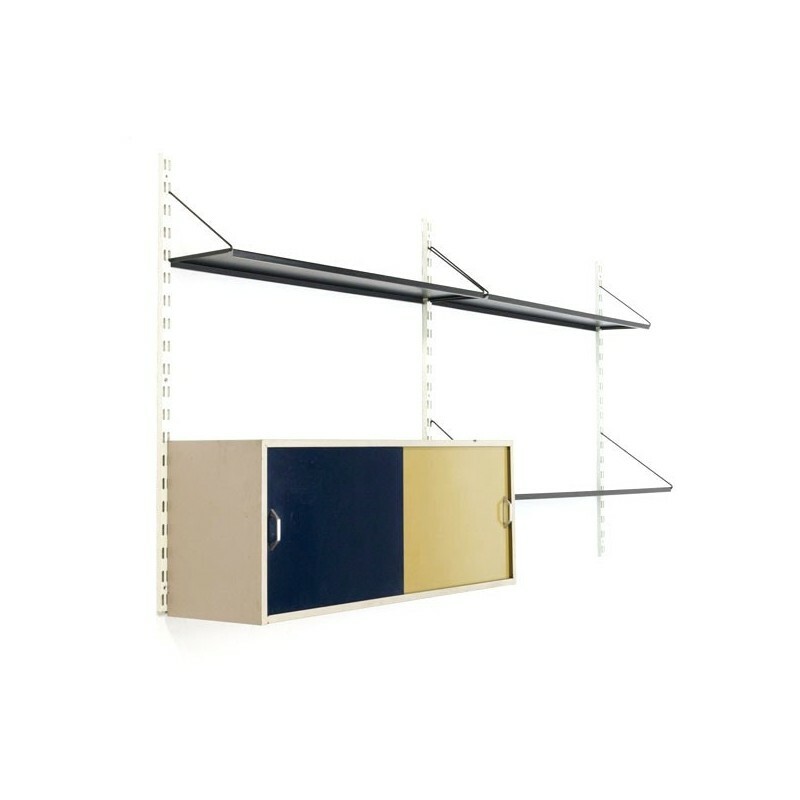 The system consist of 1 shelf 27 cm by 97 cm, 2 shelves with of 20,5 cm by 97 cm, 1 cabinet with slidingdoors ( 28 cm W/ 38 cm H/ 97 cm L) and 3 wall attacments ( 100 cm high). The condition of the system is fairly good given it's age, there is some damage of the paint on the top of the cabinet ( see pictures for details).